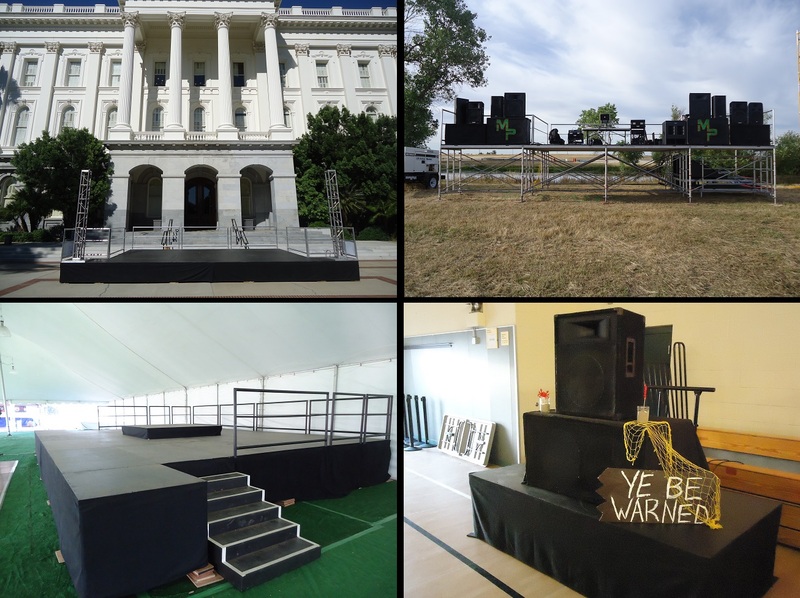 Sound Wings for rent from Stage CMDR, Inc. in Sacramento, California. In most cases, sound wings are a “must have” for every stage that is being used with sound equipment. The industry standard size is 4×4 or 4×8. Wings can also be much larger then that, say 25×50 on each size to create more deck space for the audio crews and staging of the bands equipment. It is normal to see that size for large concerts or festivals. Standard wings make the overall shape of the stage like a “T” or the wings may be off to the side of the stage. They also elevate the speakers into the air and makes them an even height with whatever the stage height is. This not only looks more appealing to the audience, but it also helps project the sound acoustics over the audiences heads instead of being absorbed by the bodies in the front sections. Chances are, if the speakers are on the ground, the guests in the middle and the very back will have a hard time hearing what the sound equipment is projecting. 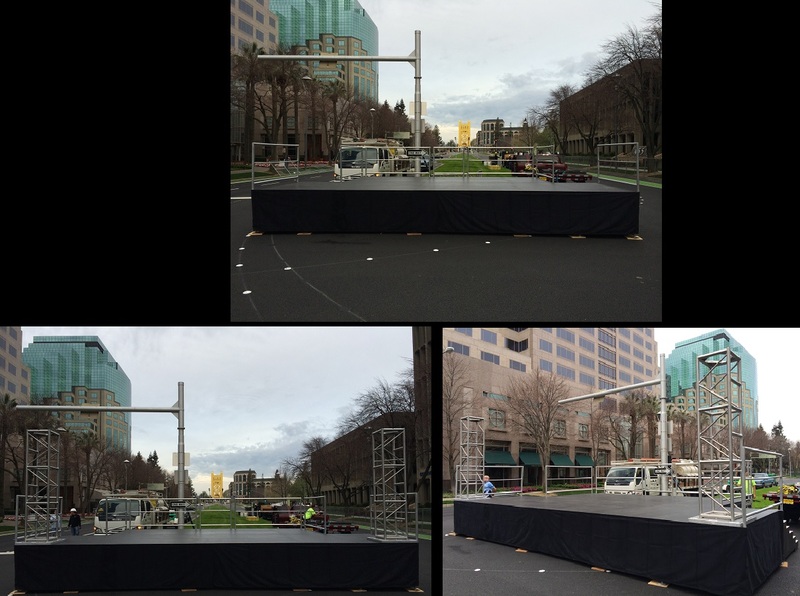 Sound wings can also be used for truss towers to add decor to the stages appearance. By doing this the overall stage’s main size wont have any space sacrificed to make room for the towers or sound equipment.